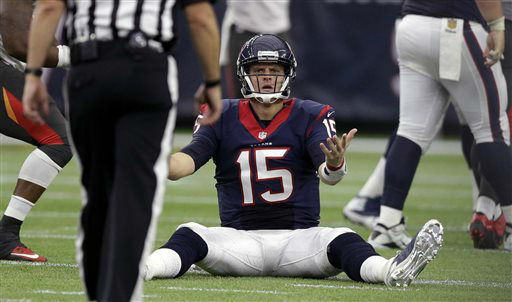 HOUSTON (KTRK) -- Ryan Mallett and Alfred Blue helped the Houston Texans to their first win on a day Tampa Bay was hampered by kicking problems. 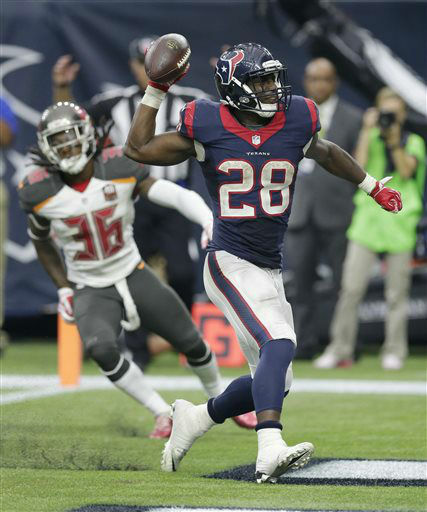 Mallett threw for threw for 228 yards and a touchdown and Alfred Blue had 139 yards rushing with a score to lead the Texans to the 19-9 victory Sunday. 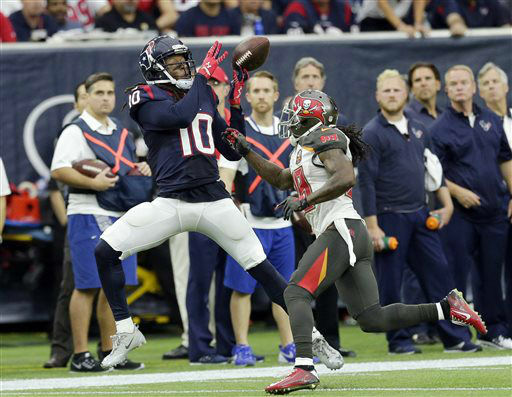 Mallett gave Houston (1-2) an early lead with a 5-yard pass to DeAndre Hopkins on the opening drive. 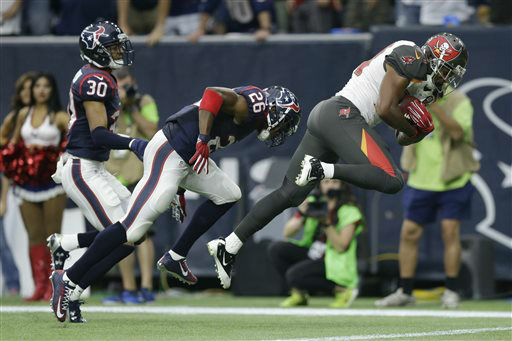 The Buccaneers (1-2) went up 9-7 on a touchdown reception by Charles Sims in the second quarter that came after an interception by Mallett, but didn't score again. Kyle Brindza, who made a 58-yard field goal early in the second quarter, missed an extra point and three field goals in the second half. 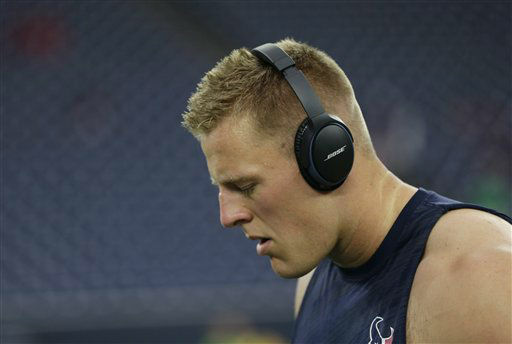 Blue had a 20-yard touchdown run after Brindza's second missed field goal in the fourth quarter, but Randy Bullock missed the extra point to leave Houston up 16-9. 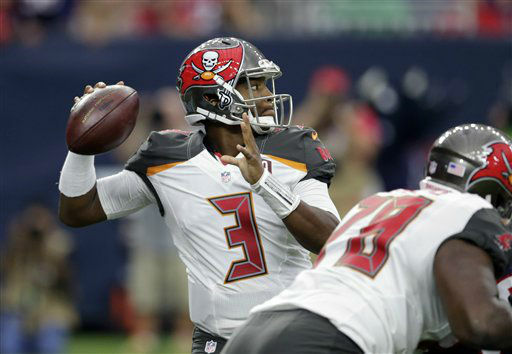 Top overall pick Jameis Winston threw for 261 yards with a touchdown and an interception for Tampa Bay. Mike Evans had 101 yards receiving, but also had a couple of drops. Bullock added a 19-yard field goal with less than two minutes left. 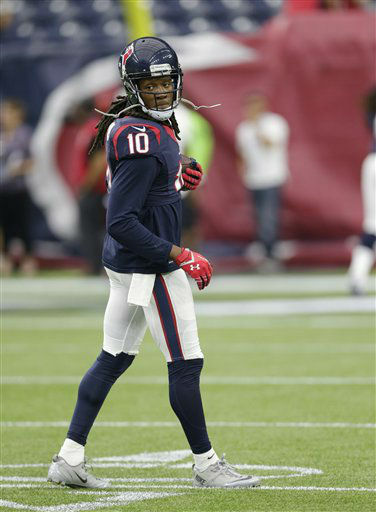 Hopkins, who missed practice this week because of a concussion, finished with eight receptions for 101 yards. 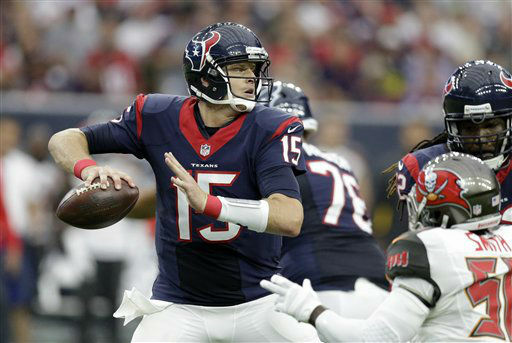 Winston launched a 33-yard pass to Louis Murphy just before he was leveled by J.J. Watt early in the fourth quarter. He found Murphy again two plays later for a 19-yard gain, but the offense stalled and Tampa Bay was left empty-handed when Brindza missed from 33 yards. 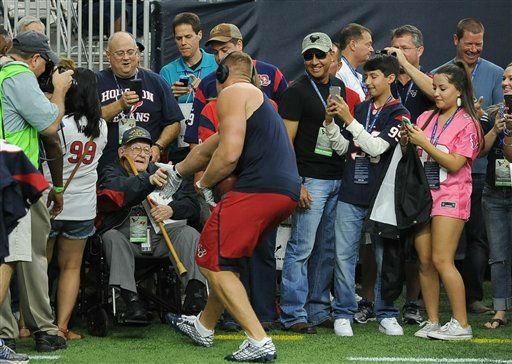 On Houston's next drive Mallett connected with Hopkins for a 30-yard gain and the Texans got another 15 thanks to a facemask penalty. 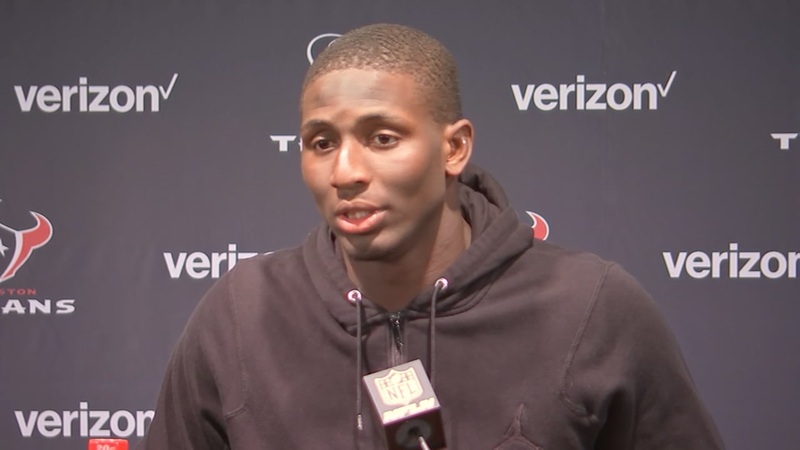 Blue, filling in for injured Arian Foster, capped that drive with his first touchdown this season. 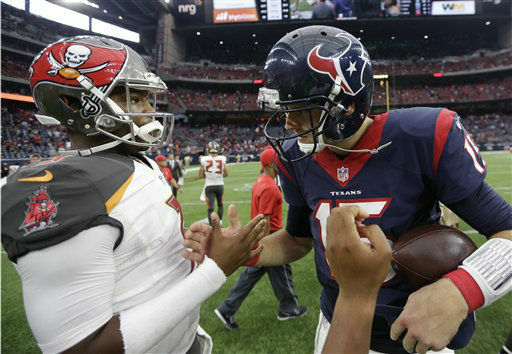 Winston was under pressure from 2014 top overall draftee Jadeveon Clowney early in the third quarter and was intercepted by Quintin Demps. 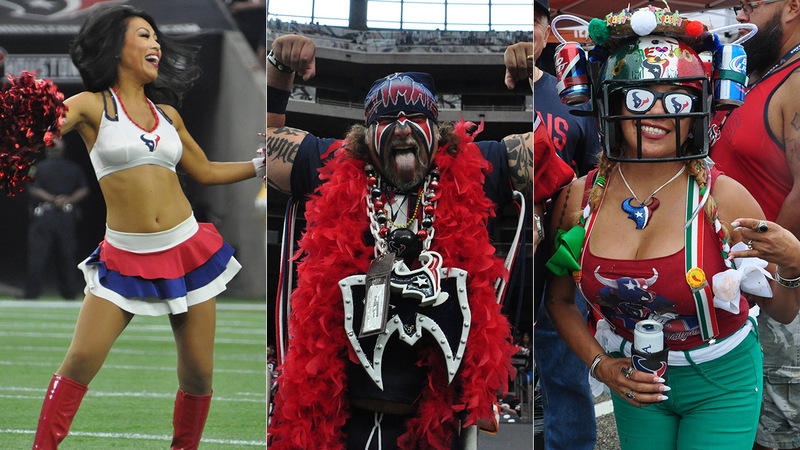 The Texans took a 10-9 lead on Bullock's 39-yarder. 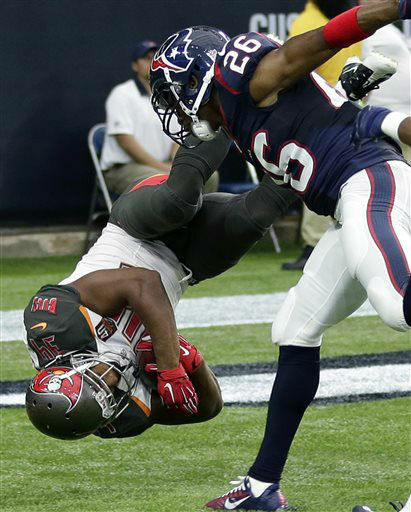 Vincent Jackson grabbed a 23-yard reception that at first was ruled a touchdown in the third quarter. But the Texans challenged the call and it was reversed; Jackson didn't get both feet down. Brindza missed a 41-yard field goal. Brindza's third miss on a 57-yarder late in the final period. 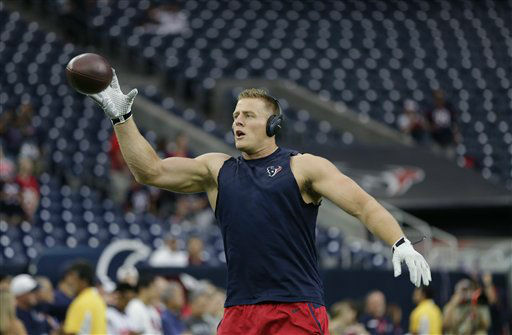 Watt, who had three touchdown receptions last season, lined up as a tight end for one play, but Houston ran the ball. 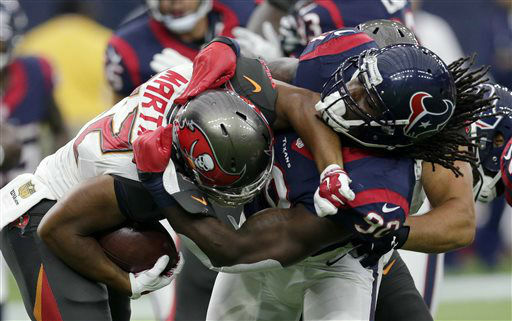 Mallett was sacked and fumbled near the end of the first quarter and Tampa Bay recovered. But the play was negated because of a defensive holding penalty on Jacquies Smith. Tampa Bay cut the lead to 7-3 early in the second quarter on Brindza's 58-yard field goal. 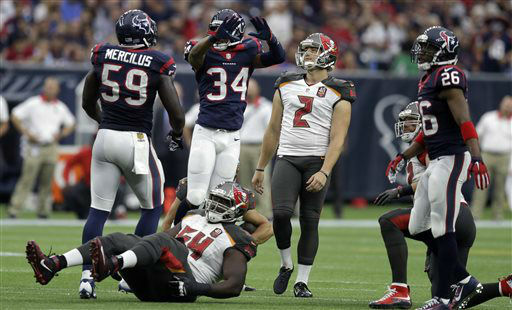 Mallett's pass was deflected by Danny Lansanah and Kwon Alexander intercepted later in the quarter. Winston found Sims on a short pass and he dashed 32 yards before flipping into the end zone.